ARIES – Today you will have ample of the time to do things to improve your health and looks Control your tendency to live for the day and to spend too much time and money on entertainment. Do not neglect your social life. Take some time from your busy schedule and go out to attend the party with your family. It will not only relieve your pressure but also remove your hesitation. Sudden romantic encounter may confuse you. Your sense of humor will be your greatest asset. Today, you will realize that how does it feel to have a happy married life. This is a day for partying hard and there is no doubt about it. However, too much of anything leads to trouble – failing to recognize it may get your health in the soup. 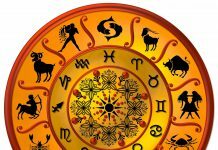 TAURUS – You may get rid of your tension. You will make money if you put your savings into conservative investments. A good day to revive old contacts and relations. Your beloved will seek commitment. Secret enemies will be eager to spread rumors about you. It’s a good day to romance with your better half. Sleep is a necessity for body; however, too much of it might harm the body too. GEMINI – It is right time for the heart patients to quit coffee. Any further use would put unnecessary pressure on your heart. You will like to overspend on others. Look after the needs of children besides beautification of the house. Homes without children are soulless despite being orderly. Children add a bounty and joy to homes. Your beloved brings you immense romantic pleasure even as work pressure occupies your mind Stay away from gossip and rumors. Today, you will forget all the sad memories about your married life and cherish the wonderful present. A bit of discord might ensue in home after some tiff with a family member. But, you may lift the moods of all if you try to calm down yourself and be patient. CANCER – It is right time for the heart patients to quit coffee. Any further use would put unnecessary pressure on your heart. You will like to overspend on others. Look after the needs of children besides beautification of the house. Homes without children are soulless despite being orderly. Children add a bounty and joy to homes. Your beloved brings you immense romantic pleasure even as work pressure occupies your mind Stay away from gossip and rumors. Today, you will forget all the sad memories about your married life and cherish the wonderful present. A bit of discord might ensue in home after some tiff with a family member. But, you may lift the moods of all if you try to calm down yourself and be patient. 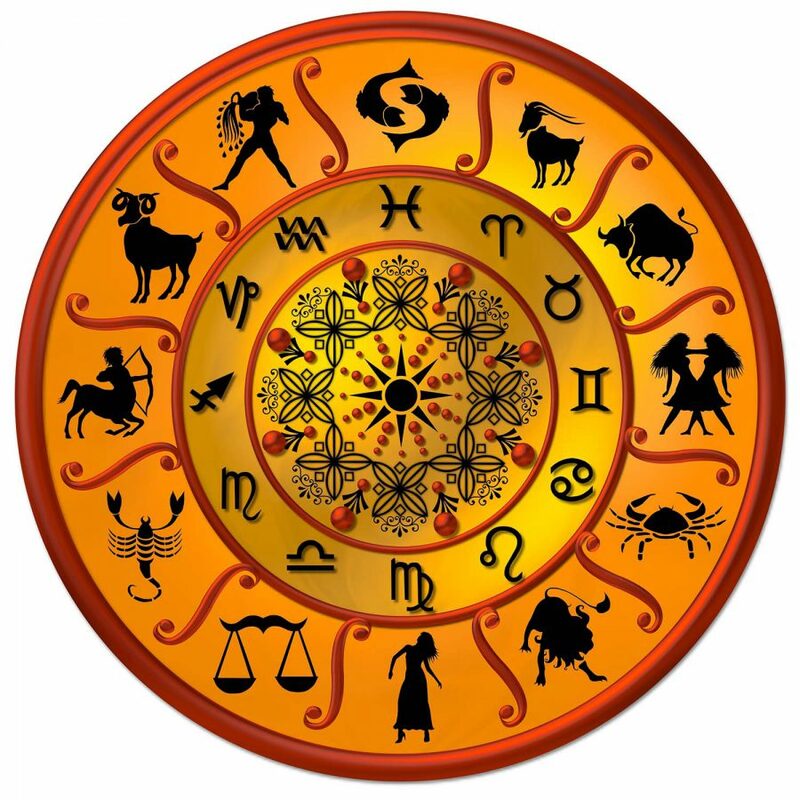 LEO – Long ailments should not be ignored they might cause some problems. Wise investments will only fetch returns- therefore be sure where you put your hard-earned money. Today you will feel lonely and alone-and the feeling of isolation may prevent you from taking sensible decisions. Leave dream worries and enjoy the company of your romantic partner. Pleasure trip will be satisfying. The day will show the extremity of your partner’s romantic side today. Nothing can be worse than being bogged down with office work, isn’t it? However, every coin has a flip side. You can hone your skills if you do your work with focus. VIRGO – Your rash behavior could cause some problem to a friend. Money position improves as delayed payments are recovered. Children could make the day very hard for you. Use affection weapon to keep their interest and avoid any undue stress. Remember love begets love. Experience pious and pure love. You will use your hidden qualities to make the best of the day. Your efforts to make the marital life better will show you the colors better than expectations today. You may spend this day in grooming your personality, as it is better than doing nothing. LIBRA – You are likely to impress people around you with your positive outlook and confidence. Don’t be lured into dubious money ventures-Investment should be handled with extreme care. Your brother will be more supportive to your needs than you had thought. Look forward to new relationship for happiness Travel-entertainment and socializing would be on your agenda today. Today, you will know that how does it feel to have a wonderful life-partner. Try not to get stressed today and take proper rest. SCORPIO – Attend some social gathering to change your mood. Not a very beneficial day- so check your money situation and limit your expenses. Someone you live with will be highly irritated with your recent actions today. High emotions could ruin your day- especially when you find your beloved too friendly with others. If you run from a situation- it will follow you in the worst possible way. You might feel today that the charm of your married life has been lost; though everything will rejuvenate soon. With more free time, negative thoughts may trouble you more today. Read positive books, watch some entertaining movie or go out with friends. SAGITTARIUS – Financial limitations will give you some depression. Money gains will not be to your expectations. It is high time to change your dominating attitude in family. Work in close cooperation with them to share the ups and downs of life. Your changed attitude will give them unlimited joy. Your love life will bring you something really really awesome today. Your communication skills would be impressive. You will get to know today that why marriages are made in heaven. When you spend a bit more time with your family than usual, there is always a possibility of some friction to arise. Try to avoid this friction today. CAPRICORN – Today you feel relaxed and in the right mood to enjoy. Pending issues become murkier and expenses cloud your mind. Your witty nature will make you popular at social gatherings. Show your love by placing flower at your window. Pleasure trip will be satisfying. You and your spouse will create the best memory of your married life today. You want to do a lot many things, yet you may be postponing everything important today. Take some action before the day is over, or you might feel you have wasted the entire day. AQUARIUS – Avoid overeating and keep a check on your weight. Don’t overspend too much in order to impress others. Gift from an overseas relative will make you happy. Some difference may crop up with your darling-You will have difficulty trying to make your mate understand your position. A spiritual leader or an elder provides guidance. You or your spouse might get hurt in bed today, so be gentle with each other. Procrastination can never do any good. A lot has been accumulated throughout the week, so get up and start taking action. PISCES – Try to keep your emotions under control as you meet some unavoidable guests. The need of the hour is self-control-which is the essence of your character. There is no need to take unnecessary stress as the meeting will be beneficial for you. Try to control your spending- and buy only the essential items today. Spend some quality time in the company of people who love and care for you. Your smiles have no meaning-laughter have no sound-heart forgets to beat as you miss the company You will receive important invitation from unexpected sources. You might feel lack of attention from your spouse, but at the end of the day you will realize that he/she was busy just for making the arrangements for you. You want to do a lot many things, yet you may be postponing everything important today. Take some action before the day is over, or you might feel you have wasted the entire day.